This was my second book. It was published by White Mane Publishing Company in 1999. It runs 270 pages numerous maps and illustrations. The book lists for $29.99, but I am selling it for $25.00. As I researched and revised my Gettysburg Tour Guide, I became intrigued by the actions of the Philadelphia Brigade. 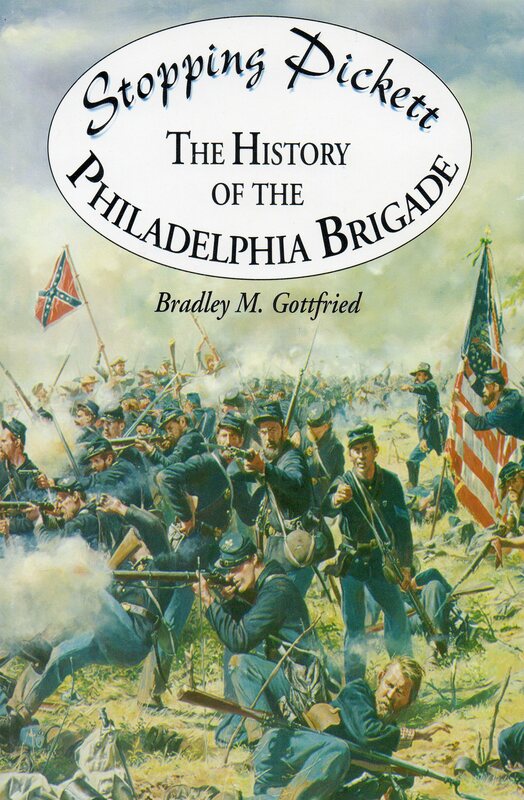 There was little published about this gallant brigade: An old history by Bane and a regimental history of the 106th Pennsylvania, but that was about it. I was born and raised in Philly, so it felt so right to spend time preparing a volume that would honor these young men. I enjoyed writing the book and developed a good working relationship with the publisher. That would change with the second book I brought to them (Roads to Gettysburg). I would write one more brigade-level history (Kearny’s Own– The History of the First New Jersey Brigade) and I enjoyed working on both of them. I met many fine young men along the way, as I poured over their letters and diaries. I did not like losing them to battle and disease…it was like losing a friend.